Peritoneal dialysis is carried out through a dialysis catheter placed in the abdomen, where you exchange old solution for new solution. A drain bag is connected to the PD catheter; the used and saturated solution inside the abdomen is drained. This solution contains waste and excess fluid. After the abdomen is completely drained of the old solution, new dialysis solution is put in through the catheter to fill up the peritoneal cavity, which is located in the abdomen. When the new solution has been placed, the dialysis tubing and bags are removed. You wear only a short tubing set covered with a sterile cap and can continue your normal activities. During this dwell period of time, the dialysis solution stays in the peritoneal cavity. This is when the dialysis occurs and the solution collects the waste and excess fluid from your body. CAPD stands for continuous ambulatory peritoneal dialysis and is a manual form of peritoneal dialysis. CAPD means that you “exchange” old solution for new solution about four times every day. Dialysis happens continuously. APD stands for automated peritoneal dialysis and is a form of peritoneal dialysis done by a machine. The AMIA dialysis machine does the exchange. This is usually done at night, while you sleep, allowing you to carry on your daily activities during the day. AMIA will advise you if you need an extra exchange during the day. The catheter is a small flexible tube that is placed through the wall of your abdomen, into the peritoneal cavity. It is a permanent access for peritoneal dialysis that is essential. 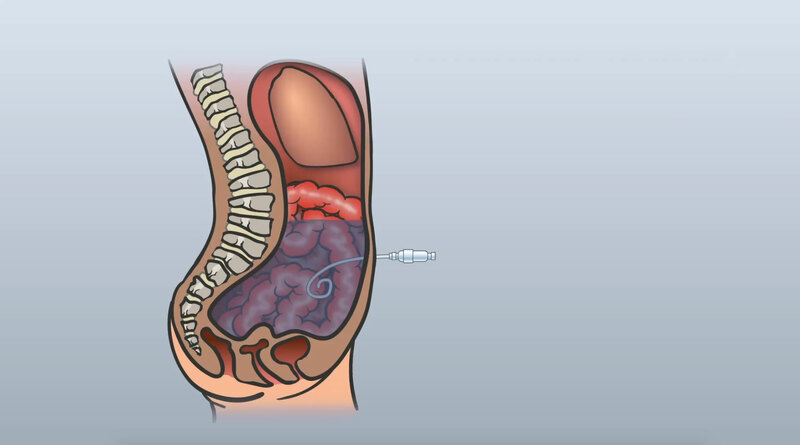 The peritoneal dialysis catheter lets the PD solution run into and out of your peritoneal cavity. The catheter is usually placed slightly below and to the side of the navel. The exit site (the place where the tube comes out) can be located on your abdomen or chest. The catheter extends out of the body about 5–10 cm. It is your lifeline, so treat it with care. Your renal care team will show you how to take care of your peritoneal dialysis catheter.